Concerns from Vermont Sen. Bernie Sanders' 2016 campaign have resurfaced, including claims of sexual harassment from inside his camp. U.S. Sen. Bernie Sanders is apologizing to women who've shared experiences of harassment by male supervisors while working on his 2016 presidential campaign. The Vermont independent says alleged misconduct by male aides "was absolutely unacceptable and certainly not what a progressive campaign or any campaign should be about." He says rhetoric about "ending sexism and ending all forms of discrimination ... cannot just be words." Sanders' comments follow a Politico report that a former Sanders adviser, Robert Becker, had assaulted a female subordinate. Becker denies the allegation. The New York Times also has detailed allegations of unwanted sexual advances and pay inequity on Sanders' 2016 campaign. 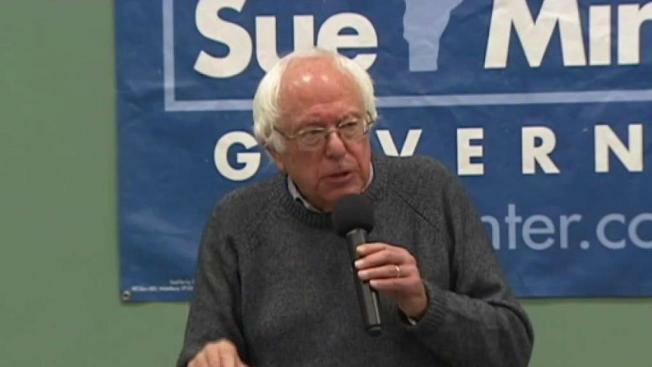 Sanders says he was unaware of Becker's alleged behavior. The reports of harassment are raising questions about whether Sanders can launch a second presidential campaign.